Shiseido Féminité du Bois is a brilliant revelation that cedarwood, a note considered to belong in the sphere of masculine perfumery can be made into the main theme of a feminine composition that does not compromise the resinous dryness of wood for the sake of fitting with the traditional concepts; nor softens it with flowers until the wood looses its unique texture. The entire composition rests in the strong embrace of cedarwood, dusky like the shadows that contrast with the dazzling light of Vermeer’s paintings, elevating simple moments into visions of disarming beauty. 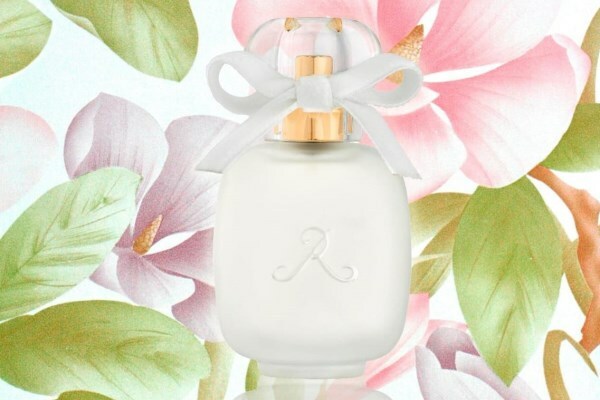 Féminité du Bois exquisitely captures the texture of raw silk with its transparent layers of notes, the clinging dryness of woods interspersed with the velvety flesh of red plums. On a technical level, the silky duskiness of Féminité du Bois is achieved not so much through the cedarwood oil, but via an overdose of Iso E Super, a material which has little smell, other than the impurity in it that presents an interplay of hues, like an iridescent coating of an oyster shell. Refracting through specific notes, Iso E Super can assume either the radiant warthm of amber, the balsamic dryness of cedarwood or the sweet darkness of violet. In Féminité du Bois, Iso E Super harmonizes violet with cedar notes, allowing for the rough edges to be smoothed away, while retaining the strength of woods. The fascinating quality of this radiant composition lies in its ability to weave a fruity facet into the woody layers, without clichés of sweet and sugary notes that dominate many feminine fragrances. At the same time, it carefully blends the gender line without appearing androgynous. Ultimately, like all things beautiful, Féminité du Bois is suitable for anyone who would appreciate it. Féminité du Bois includes notes of cedarwood, orange blossom, rose, violet, honey, plum, beeswax, clove, cardamom, cinnamon. 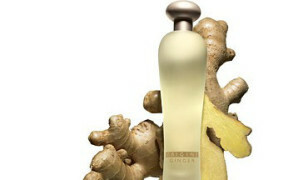 The fragrance is discontinued in the States, however it is still widely available in Europe. Online, it can be found from various discount fragrance stores. Painting: Jan Vermeer. Girl with a Pearl Earring. c.1665. Oil on canvas. Mauritshuis, the Hague, Netherlands. From abcgallery.com. For a lover of oriental compositions, Paul & Joe Bleu created by Pierre Bourdon, with its ambery notes folded into the velvety creaminess of woods and vanilla, would be a nice discovery. Fairly classical composition at first glance, it weaves the sweet incense and tobacco nuances of oud into its rich veil, creating an interesting orchestration that calls to mind nocturnal images. At the same time, experiencing Bleu makes one understand why oriental compositions are often compared to cashmere, for its gently powdery drydown embraces the skin in the warm and soft fashion. Pierre Bourdon is the creator of fragrances like Iris Poudré, Yves Saint Laurent Kouros (1981), and Shiseido Féminité Du Bois (1992, with Christopher Sheldrake), and Dolce Vita (1996 , with Maurice Roger). When asked to link his creative sensibility to a pictoral style, he responds, “The period between impressionism and fauvism – a creative period which balances on figurative interpretation and transcendental reality. Having said that, I am equally fond of Vermeer’s paintings, in which the reproduction of light is almost supernatural.” Read the rest of the interview on Scented Pages (edit: link no longer working). If you were to name your favorite art work, what fragrance would be associated with it? Jan Vermeer. Woman with a Pearl Necklace. c.1664. Oil on canvas. Staatliche Museen zu Berlin, Gemaldegalerie, Berlin. From abcgallery.com.